Outstanding service starts with an outstanding team. Meet the professionals behind Bergfeld Agency. Brad Bergfeld, President of Bergfeld Agency LLC, was born in Tyler and attended Robert E. Lee high school. He graduated from Texas Tech University with a BBA degree in Finance and then went on to receive his Master’s in Business Administration from Texas Tech. Brad was also a member of the Texas Tech Football team from 2002-2005 and was named to the Academic All Big XII team 3 years in a row. After completing his MBA Brad moved back to Tyler in the summer of 2008 and began working at Bergfeld Agency. Since coming back to Tyler he has received his Texas Insurance License and his Real Estate Salesperson license. In 2014 Brad became a Certified Insurance Counselor. Brad is a past President of the Independents Agents of Tyler Board of Directors and also serves on the Board of Directors at Tyler House of Faith and Historic Tyler. Julius L. Bergfeld, Jr. was born in Tyler and attended Tyler Public Schools. He graduated from the University of Texas in Austin with a BBA Degree in Insurance and was on the Dean’s Honor Roll. After attending college he went on to South Texas College of Law earning the degree of Juris Doctor and was an American Jurisprudence Award Winner and ranked number fived in his graduating class. He was licensed by the Supreme Court of Texas to practice law in 1969 and also received his Texas Insurance License and his Real Estate Broker license in that same year. He has been involved in the insurance business throughout his career. He has served as president of the Independent Insurance Agents of Tyler. His civic activities have included serving on the Vestry of Christ Episcopal Church, Salvation Army Advisory Board, Mother Frances Hospital Advisory Board, Citizens 1st National Bank and First City National Bank Boards. 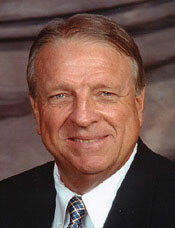 Additionally, he was Co-Chairman of the Robert E. Lee Cox Communications Athletic Center fund-raising committee. Courtney started working at Bergfeld Agency in February 2015 as the personal lines account manager. Courtney has an Associate’s Degree in general studies and is now a licensed insurance agent. Before working at Bergfeld Agency she was a certified medical and x-ray assistant at a pain management clinic in Tyler, TX. When Courtney is not busy at the agency, she enjoys quality time with her husband, Logan and her son Weston. Ashly started working at Bergfeld Agency in September 2017 as the commercial lines account manager. Ashly has a Bachelor’s Degree in Psychology from Texas Tech University and is a licensed insurance agent with experience in the insurance industry dating back to 2006. In Ashly’s spare time she enjoys developing her photography business and spending time with friends and family.